fresher candidates in India for Assistant Registrar, Junior Assistant Posts. 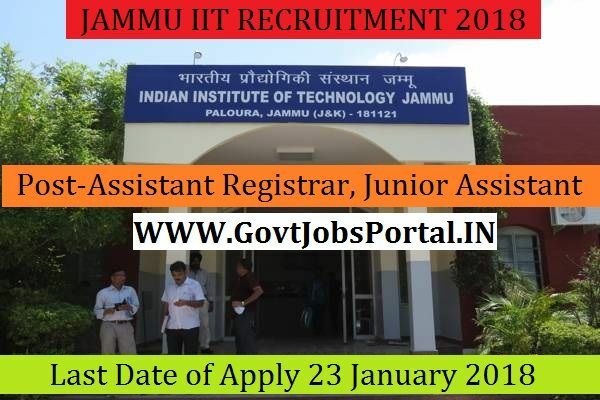 this Jammu Indian Institute of Technology Recruitment 2018. What is the IIT Selection Process job? What is the Application Fee for these IIT Jobs in India?